Welcome to Thinkport’s family section. Explore the topics below to find games, family programming and resources to guide family learning. Make family time a special time with quality programs, games and activities from MPT and PBS. A family media plan can help both kids and adults manage media use at home. Get tips on setting guidelines for your children when they use TV, games, videos and the Internet, and find reliable learning resources for them to use when they do tap, slide and click. Designed specifically for parents, the PBS KIDS Super Vision™ app helps you monitor and make the most of what your child is learning and playing on pbskids.org. 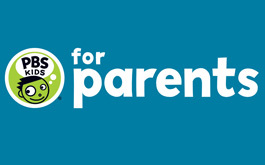 Explore resources for the whole family from PBS Parents.